Anne Stanton was born in December 1877 at Feenoone, Mayo, Ireland. She married John O'Malley, son of James O'Malley and Honor Helen O'Malley, on 24 February 1906 at Killeen, Mayo, Ireland. Anne Stanton died in August 1963 at Kinnadoohy, Mayo, Ireland, at age 85. She was buried after August 1963 at Kileen, Mayo, Ireland. James Stanton married Katherine McHale. Katherine McHale was born at Emlagh, Mayo, Ireland. She married James Stanton. Thomas O'Malley was born on 17 December 1910 at Kinnadoohy, Mayo, Ireland. He died on 25 May 1986 at Ireland at age 75. He was buried circa 28 May 1986 at Kileen, Mayo, Ireland. Martin O'Malley died circa 1919 at Kinnadoohy, Mayo, Ireland. 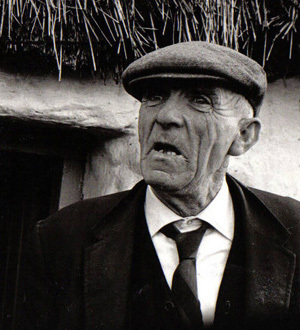 He was born circa 1919 at Kinnadoohy, Mayo, Ireland. He was buried in 1919 at Kileen, Mayo, Ireland. Bridget "Bridgie" O'Malley was born on 21 May 1921 at Kinnadoohy, Mayo, Ireland. She died in June 2001 at Rugby, Warwickshire, England, at age 80. 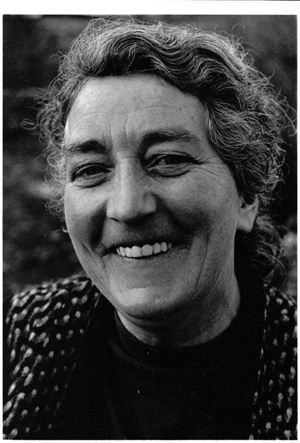 Winifred "Una" O'Malley was born on 7 February 1923 at Kinnadoohy, Mayo, Ireland. She died on 21 January 2009 at age 85. She was buried at Kileen, Mayo, Ireland. James O'Malley was born circa 1913 at Kinnadoohy, Mayo, Ireland. He was baptized on 7 September 1913 at Kilgeever Parish, Mayo, Ireland. He was buried in 1920 at Kileen, Mayo, Ireland. He died in 1920 at Ireland. Mary "Mamie" O'Malley was born circa 1911 at Kinnadoohy, Mayo, Ireland. She married Thomas Lyons, son of Redmond Lyons and Mary McNamera, in 1939. Mary "Mamie" O'Malley died circa 1980 at Park Rapids, Hubbard, MN. Thomas Lyons was born in 1906 at Furmoyle, Mayo, Ireland. He was baptized at Kilgeever Parish, Mayo, Ireland. He married Mary "Mamie" O'Malley, daughter of John O'Malley and Anne Stanton, in 1939. Honora O'Malley was born after 1907 at Kinnadoohy, Mayo, Ireland. She was baptized on 21 April 1912 at Kilgeever Parish, Mayo, Ireland. She died on 12 May 1954. Katherine "Katie" O'Malley was born circa 5 March 1915 at Kinnadoohy, Mayo, Ireland. She married Andrew "Andy" Mulligan. Katherine "Katie" O'Malley emigrated on 30 April 1950. She died on 9 December 2012 at Chicago, Cook, IL. Anne O'Malley was born after 1907 at Kinnadoohy, Mayo, Ireland. She was baptized on 12 October 1916 at Kilgeever Parish, Mayo, Ireland. She died in 2002. Honor O'Malley was born at Kinnadoohy, Mayo, Ireland. She married Owen O'Grady. Owen O'Grady was born at Cloonty, Mayo, Ireland. He married Honor O'Malley, daughter of John "Jack" O'Malley. Owen Anthony "Young Owen" O'Grady was born on 3 November 1886 at Kinnadoohy, Mayo, Ireland. He immigrated on 15 April 1909. He married Mary A. Cullinane. Owen Anthony "Young Owen" O'Grady died on 15 July 1925 at Somersworth, Strafford, NH, at age 38. Mary Walle was born circa 1892. Katherine Walle was born circa 1893. Sarah Walle was born circa 1894. Patrick Walle was born circa 1896. William Walle was born circa 1898. Winifred Walle was born circa 1900. Margaret Walle was born circa 1901. Anne Walle was born circa 1905. Michael Walle was born circa 1906.